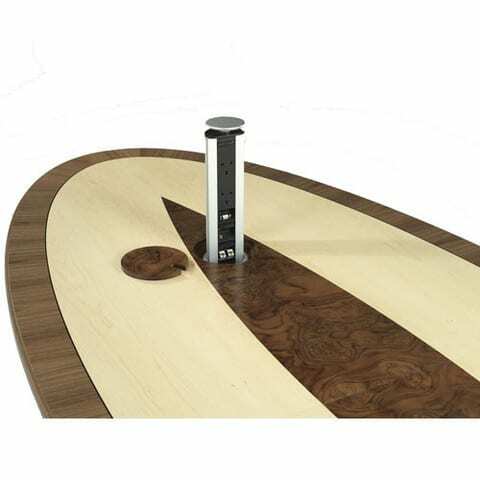 With newly designed bases, wire management systems can be concealed with a control panel unobtrusively inset into the table top, allowing for complete, discreet control over integrated data and power. 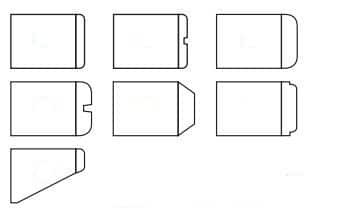 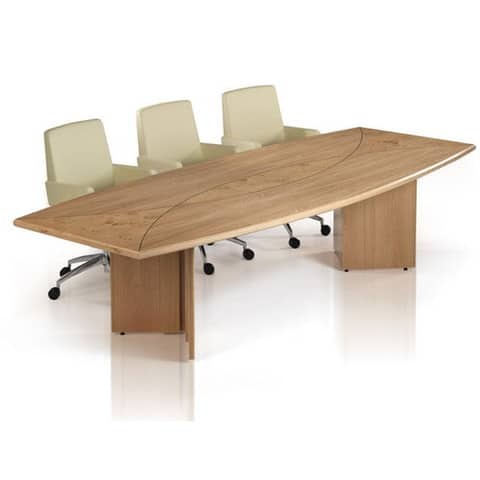 One of the most popular shapes within the range is the tapered shape, ideal for when viewing screens is essential to your meeting. 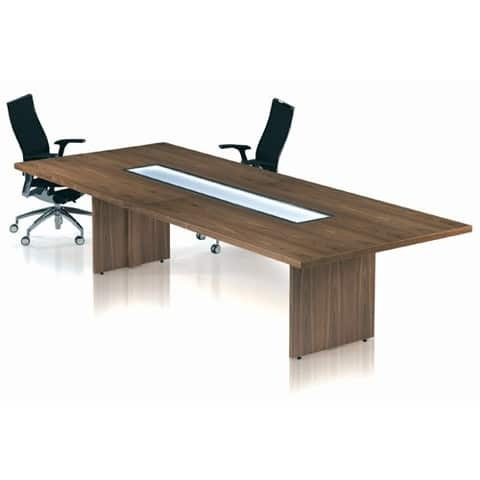 Allowing every individual to fit around the table with an unobstructed view, these tables can be fitted with flush power management modules and monitor lifts that easily fold down into the table after use. 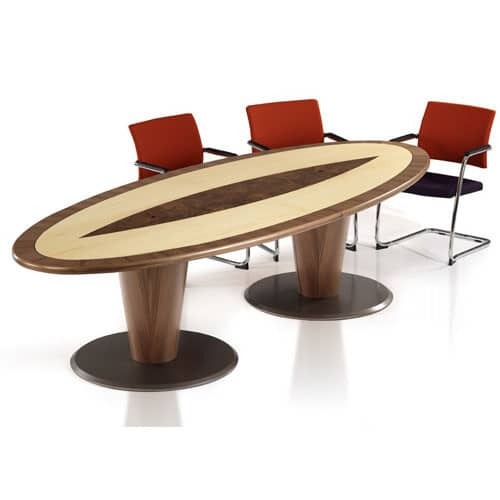 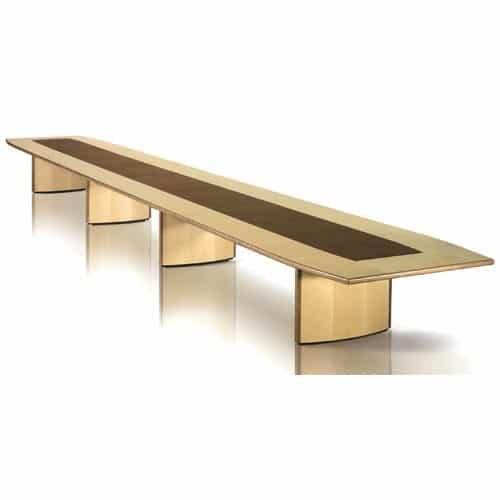 A range of extra design options can be included at the point of order to achieve the ultimate in style and functionality from your boardroom table.